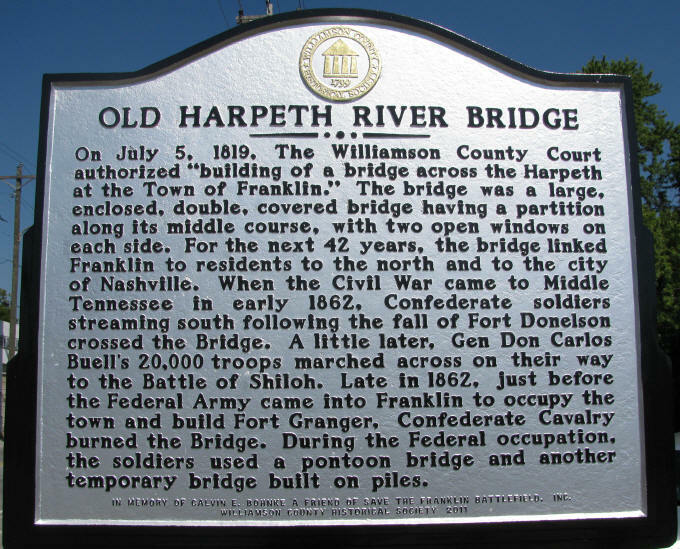 On August 27, Save The Franklin Battlefield and the Williamson County Historical Society dedicated a historical marker near the site of the Old Harpeth River Bridge on First Avenue, North in Franklin. Rick Warwick, WCHS, discussed the establishment and evolution of the bridge and the abutment site area. Rick presented several old photos that showed the various configurations of the bridge over the years. 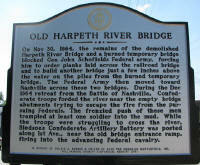 Sam Gant, STFB, discussed the Civil War significance of the bridge and site, as well as paid tribute to Calvin Bohnke who is memorialized on the marker. 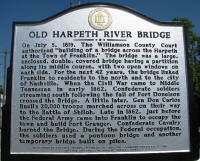 Mike Skinner, City Alderman, discussed the importance of Civil War preservation to the City of Franklin. 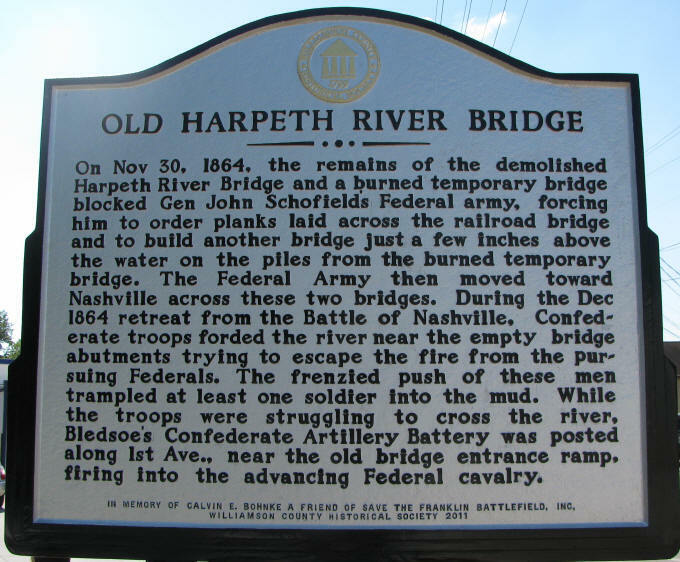 In addition to representatives of the sponsoring organizations, representatives from Franklin’s Charge, the Sons of Union Veterans, the Nolensville Historical Society and Jay Franks’ Enterprise Construction Company were present. 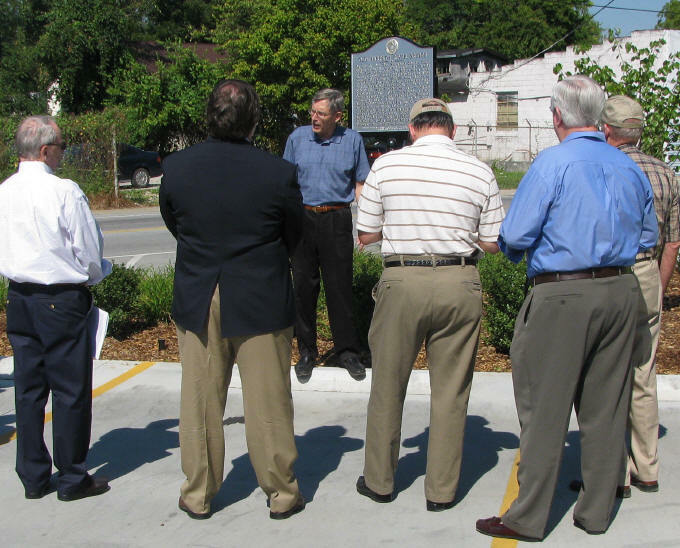 Sam Gant and Alderman Michael Skinner speak at the Dedication.